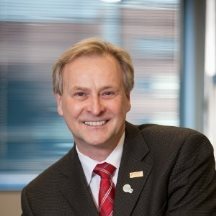 Helmut Zarbl, a professor in the Department of Environmental & Occupational Health at Rutgers University's School of Public Health and an environmental carcinogenesis and chemoprevention researcher, has been named director of the university's Environmental & Occupational Health Sciences Institute, the New Jersey university announced. Its release said Zarbl, whose research has been funded by the National Institutes of Health since 1987, is a fellow of the Academy of Toxicological Sciences and is the director of the Center for Environmental Exposures and Disease, which is sponsored by the National Institute of Environmental Health Sciences. He previously served as associate director for Public Health Sciences at the Rutgers Cancer Institute of New Jersey, where he has been a member since 2007, and before joining Rutgers in 2006 was a full member of the Fred Hutchinson Cancer Research Center in Seattle. Zarbl also will serve as chair of the Department of Environmental & Occupational Health. "We look forward to the energy and enthusiasm that Dr. Zarbl brings to his new position," said Brian Strom, chancellor of Rutgers Biomedical and Health Sciences. "EOHSI is a tremendous asset for the university and an important scientific resource for the state of New Jersey. Dr. Zarbl is an internationally renowned environmental health scientist. His appointment to lead EOHSI and ENOH and the new faculty he will recruit will deepen the institute's core strength and link the school and institute, as well as extend its reach to include faculty across Rutgers who are interested in environmental health. This will give EOHSI the ability to significantly impact environmental health in New Jersey and beyond." Perry N. Halkitis, dean of the School of Public Health, praised Zarbl's "ability to conceptualize environmental health sciences broadly and in an applied manner," saying this "means that, together, we can fashion educational and research programs that are responsive to our society and to the educational needs of our students who are dedicated to environmental health, environmental social justice, and protecting our local and global environment." Zarbl earned a bachelor of science degree and a Ph.D. from McGill University in Montreal, with post-doctoral studies at the NIH National Cancer Institute at Frederick, Md., and the Clinical Research Institute of Montreal.